Legal aid is free legal assistance to the poor and weaker sections of the society with the object to enable them to exercise the rights given to them by law. Justice P.N.Bhagwati has rightly said that "the poor and the illiterate should be able to approach the Courts and their ignorance and poverty should not be an impediment in the way of their obtaining Justice from the Courts." Article 39A of the Constitution of India provides that State shall secure that the operation of the legal system promotes justice on a basis of equal opportunity, and shall in particular, provide free legal aid, by suitable legislation or schemes or in any other way, to ensure that opportunities for securing justice are not denied to any citizen by reason of economic or other disability. 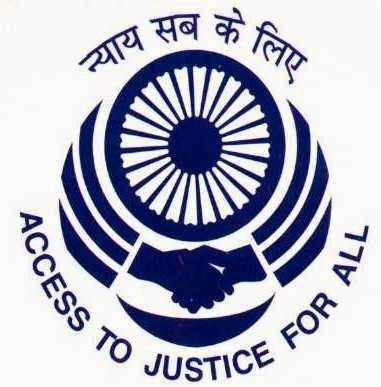 A separate legislation, The Legal Services Authority Act, 1987 has been enacted to constitute the National Legal Service Authority (NALSA) to provide free and competent legal services to the weaker sections of the society to ensure that opportunities for securing justice are not denied to any citizen by reason of economic or other disabilities and to organise Lok Adalats to secure that the operation of the legal system promotes justice. In every State, State Legal Services Authority has been constituted to give effect to the policies and directions of the NALSA and to give free legal services to the people and conduct Lok Adalats in the State. The main object of the Lok Adalat is to provide quick justice at less expense. The government had started Legal Aid Clinic Scheme under the National Plan of Action of the National Legal Services Authority (NALSA) in order to reach to the villages and to provide legal relief easily to the indigent and backward sections of our society. In a democracy, where rule of law is supreme; it is essential to ensure that even the weakest amongst the weak, poorest among the poor, in the country does not suffer injustice arising out of any abrasive action on the part of State or private person. As a way forward there is need to ensure capacity building for legal aid movemement. This requires strengthening the skills of stakeholders of legal aid; law teachers, lawyers, law students, volunteers such as aaganwadi workers, Members of local panchayat etc to act as intermediates between rural people and legal service institutions.